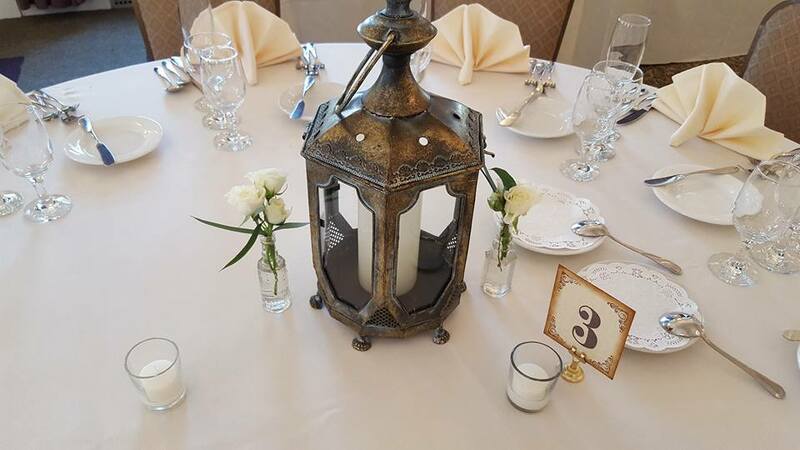 Simple brass lantern centerpiece accented with vased white tea roses. 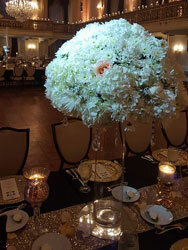 Gorgeous arrangement of white hydrangea, ivory and peach roses, and white white mums with hanging crystal accents on a glass cylinder riser and circular mirror. 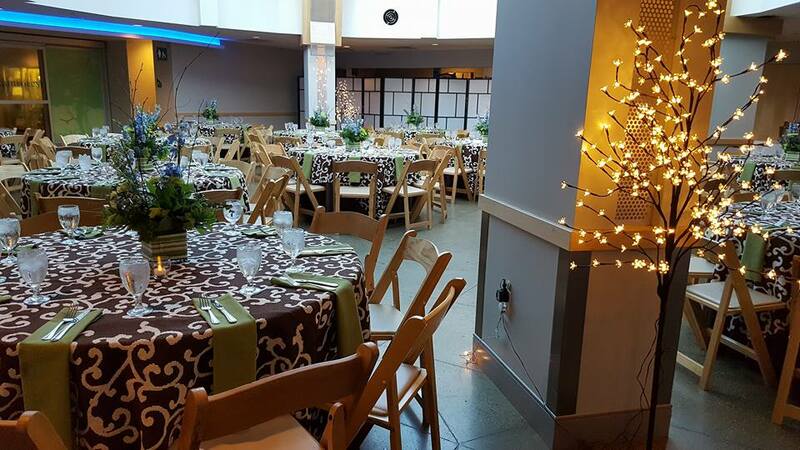 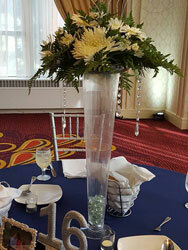 Decorated with lighted trees and centerpieces of blue larkspur, green mums, greens and branches in a sushi wrapped cube vase. 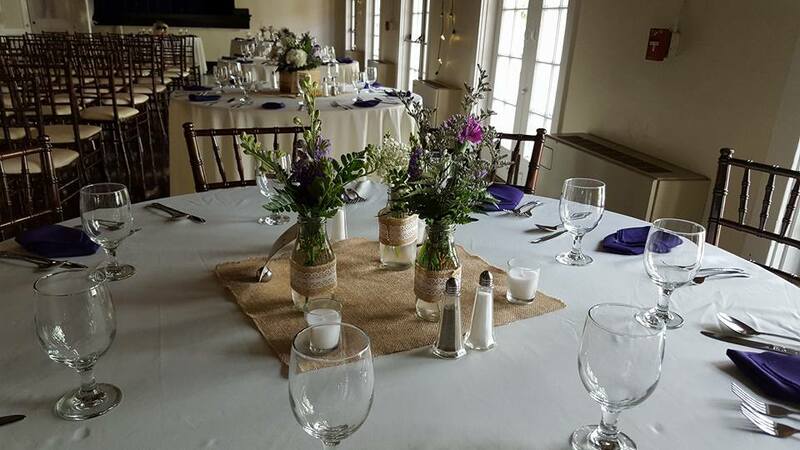 Simple rustic collection of vased freesia, solidago, larkspur accented with burlap. 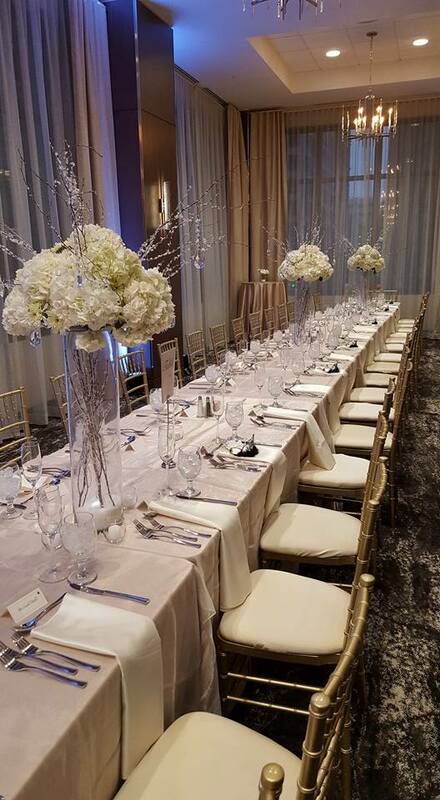 Winter themed centerpieces of white hydrangea, white Fuji mums, snow branches with hanging crystals placed on snow branched filled glass cylinder riser and accented with votive candles. 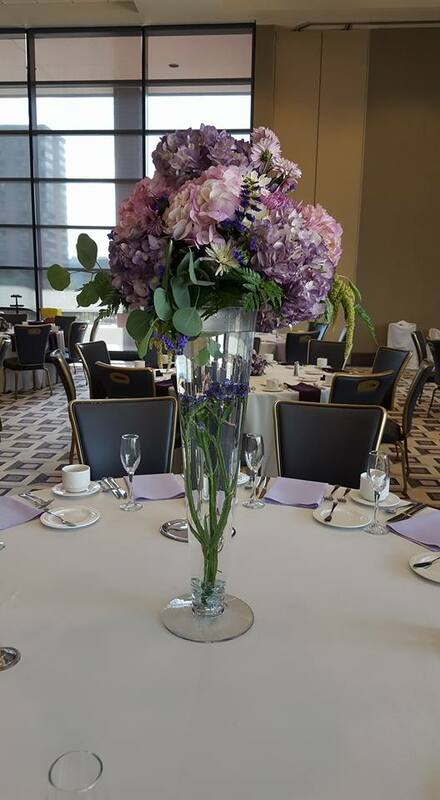 Stunning centerpiece designed with purple hydrangea, mums and eucalyptus on a glass pilsner riser with submerged statice. 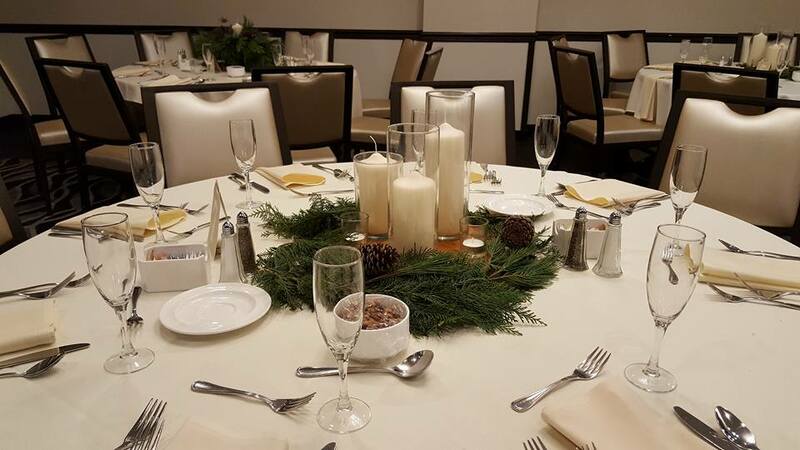 Classy, simple winter centerpieces of various sized cylinder candles surrounded by a white pine and cedar wreath on a natural stained wooden slab accented with votive candles. 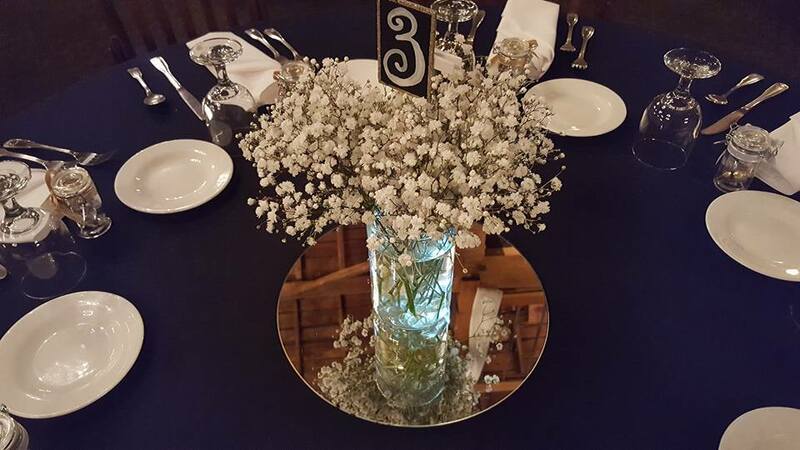 Simple centerpiece of baby's breath in a cylinder vase placed on a mirror. 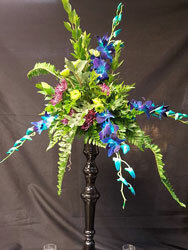 Centerpieces of blue larkspur, green mums, greens and branches in a sushi wrapped cube vase. 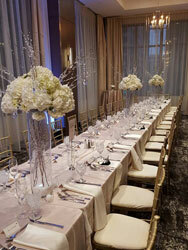 Beautiful ballroom with various centerpieces of white hydrangea, ivory and peach roses and white mums with hanging crystals arranged on glass cylinder risers and in silver candelabras with a collection of unique candles. 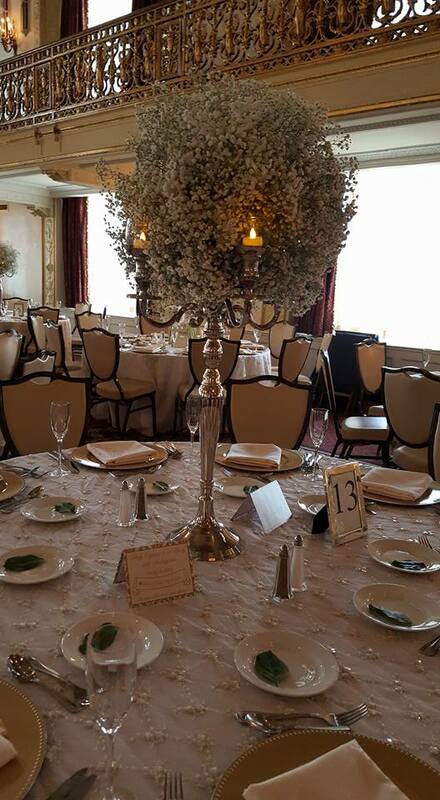 Elegant two themed centerpieces of white hydrangea in simple glass cylinders with votive candles and a beautiful arrangement of baby's breath made in a silver candelabra. 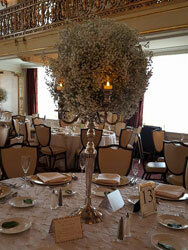 Simple but opulent centerpiece made with baby's breath in a silver candelabra. 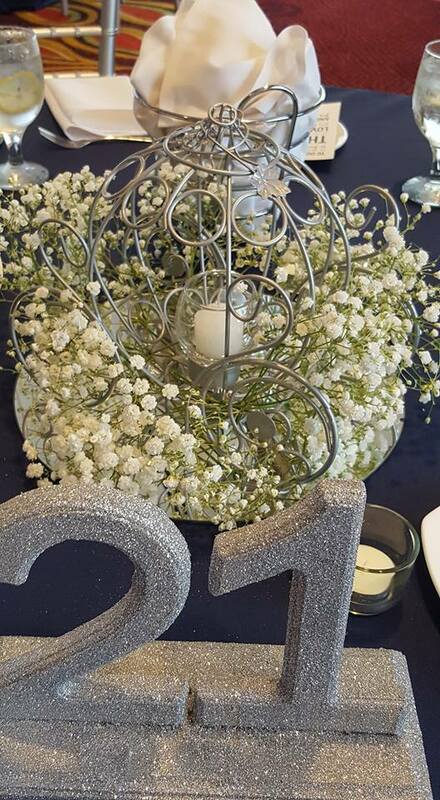 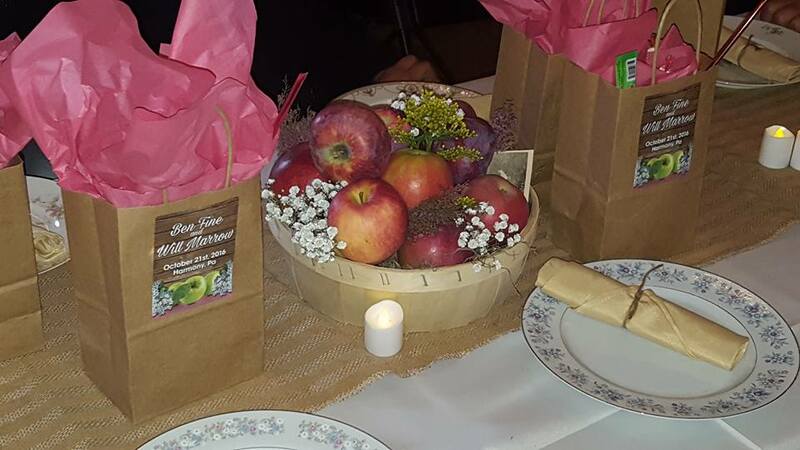 Rustic apple barrel centerpiece with baby's breath, yellow solidago. 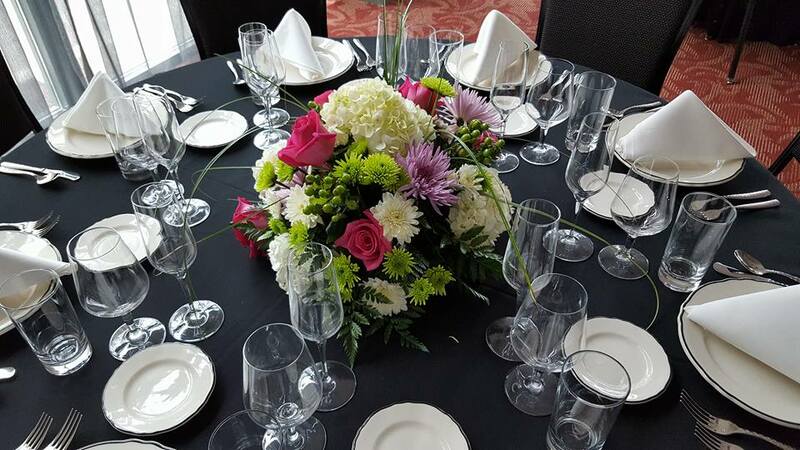 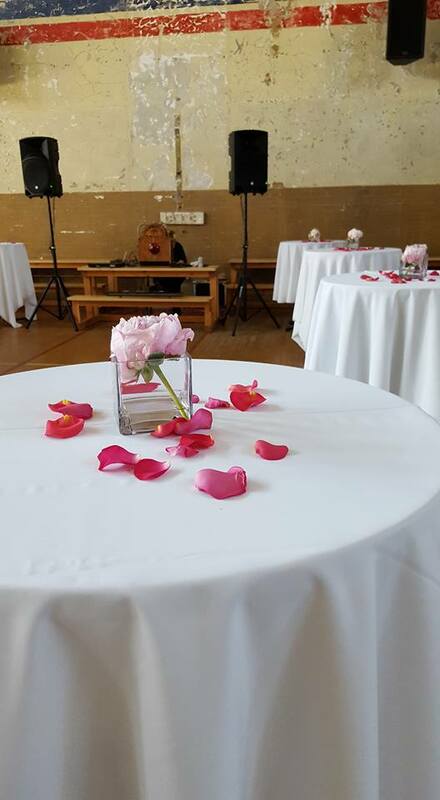 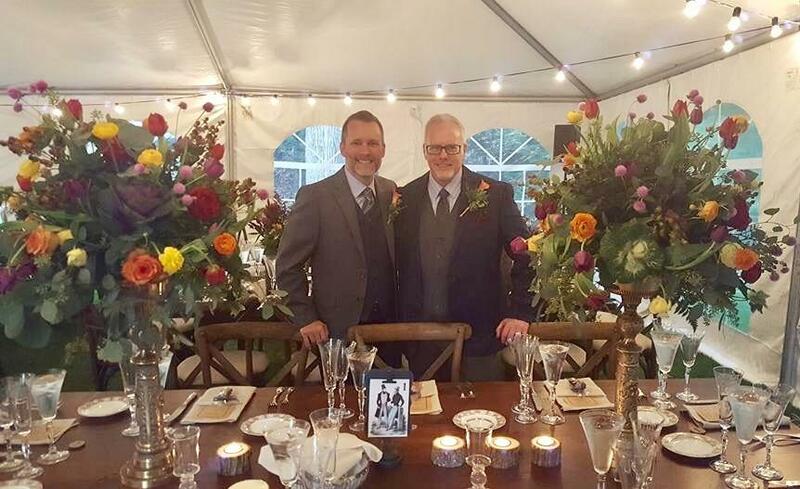 Happy guests with stunning centerpieces of a variety of colored roses and tulips accented with kale and eucalyptus on a silver riser. 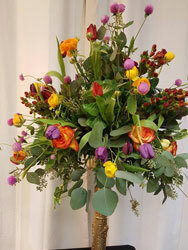 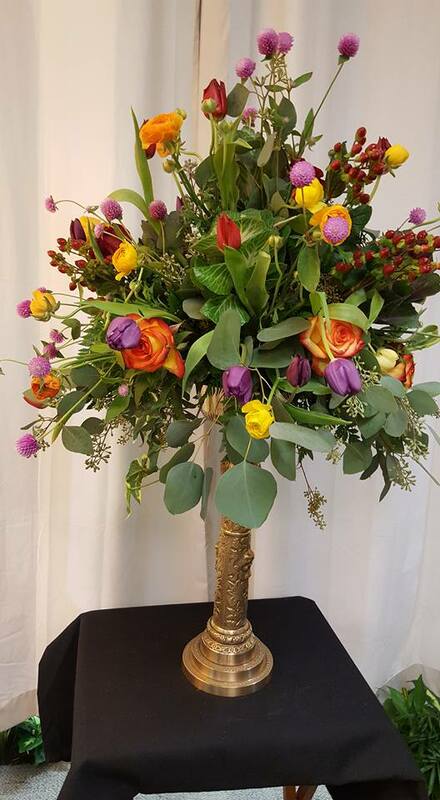 Beautiful Spring centerpiece of orange to red roses, orange ranunculus, purple and red tulips, hypericum berries, thistle, and eucalyptus on a beautiful gold riser. 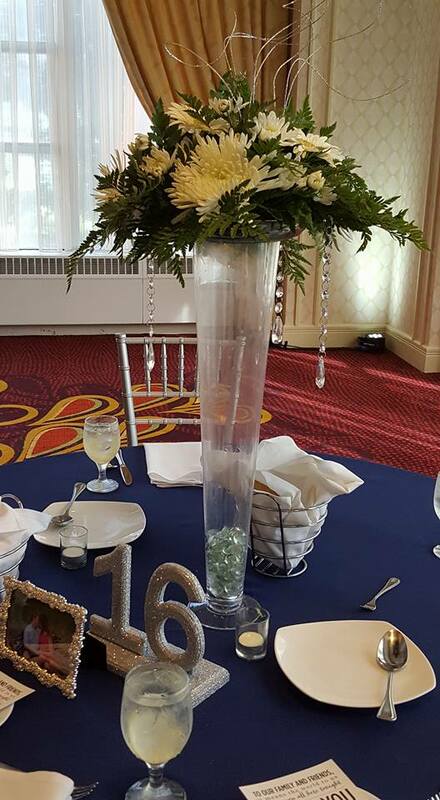 Simple centerpiece of white spider fuji mums and chrysanthemums accented with silver curly ting ting and hanging crystals on a pilsner riser. 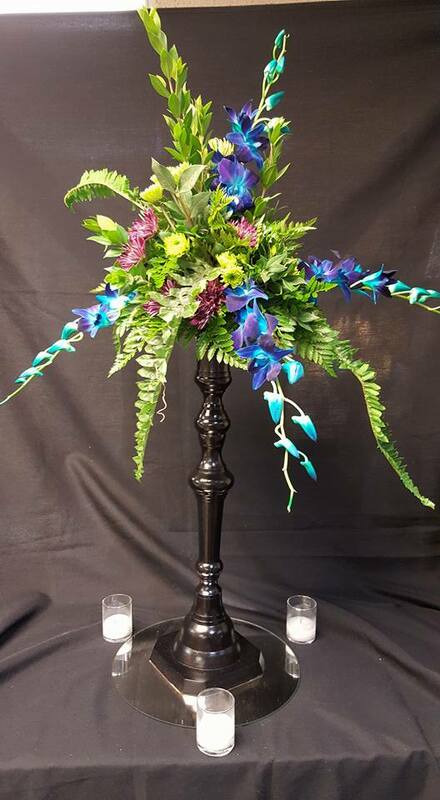 Unique centerpiece on metal riser made with blue orchids, mums and greens. 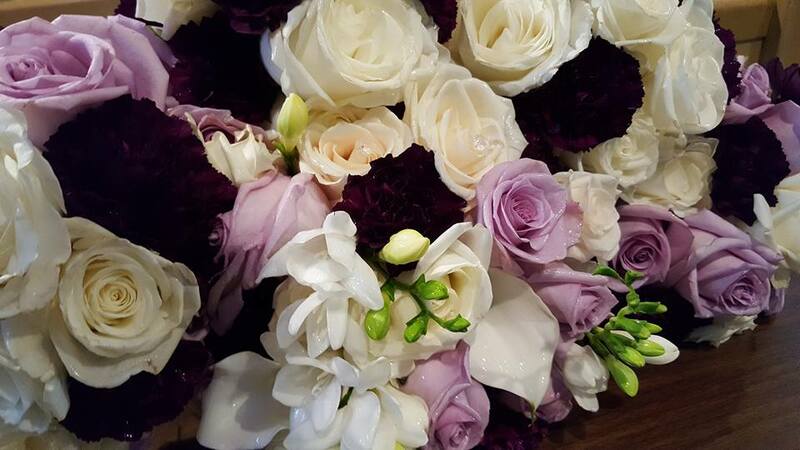 Beautiful centerpiece of lavender and ivory roses, white freesia and plum carnations. 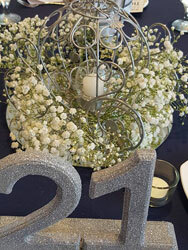 Fairytale silver carriage with cloudlike ring of baby's breath. 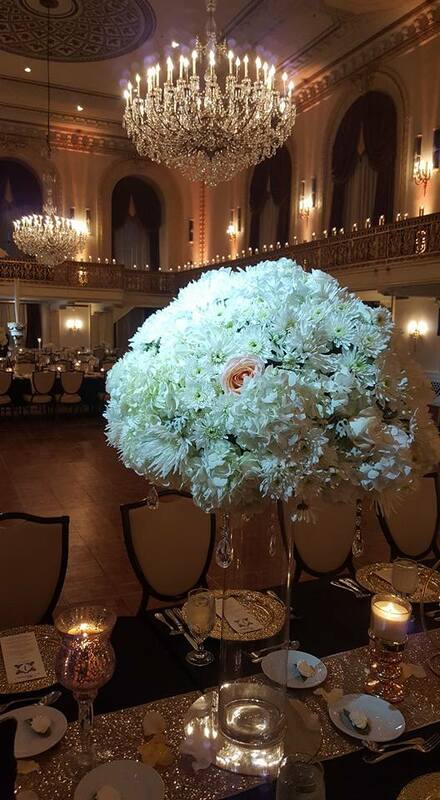 Simple round centerpiece of pink larkspur, mums, carnations and wax flower. 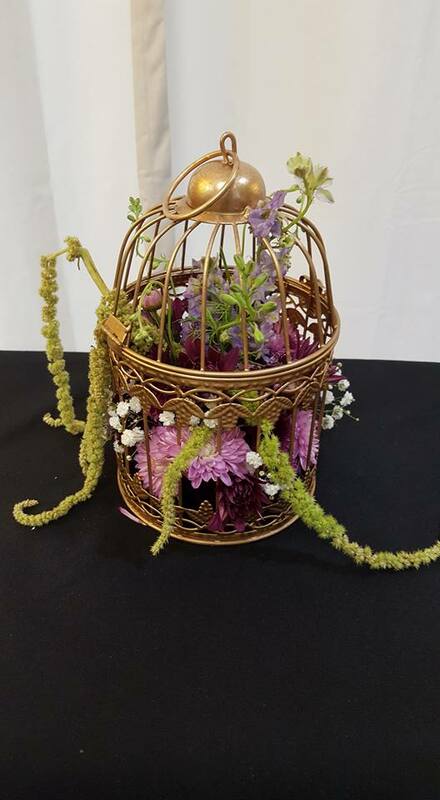 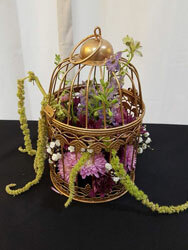 Unique centerpiece with purple mums, larkspur, baby's breath, and amaranthus in a beautiful gold metal cage. 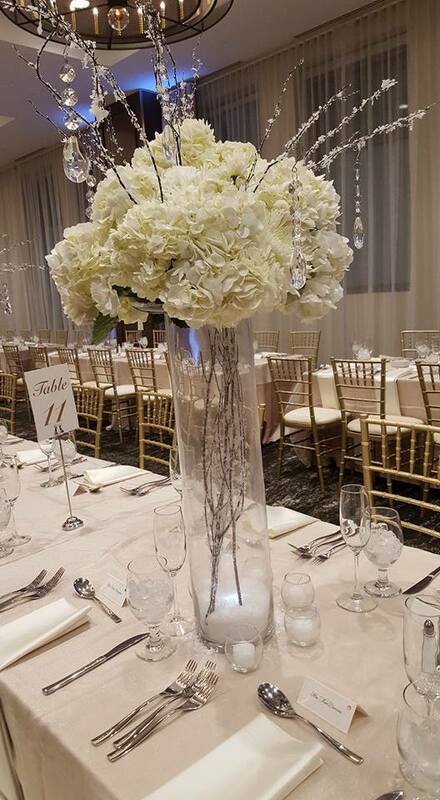 Gorgeous centerpiece of white hydrangea and white Fuji mums on glass cylinder risers filled with snow, candles, and snow branches and accented with votive candles. 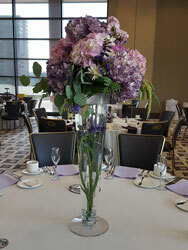 Beautiful round low centerpiece of purple hydrangea, mums and statice. 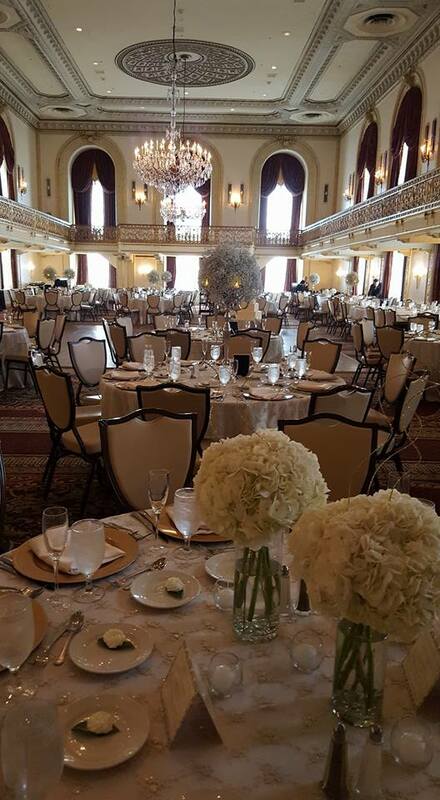 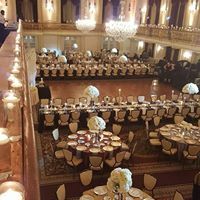 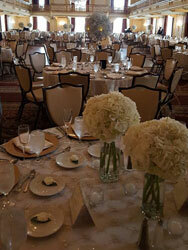 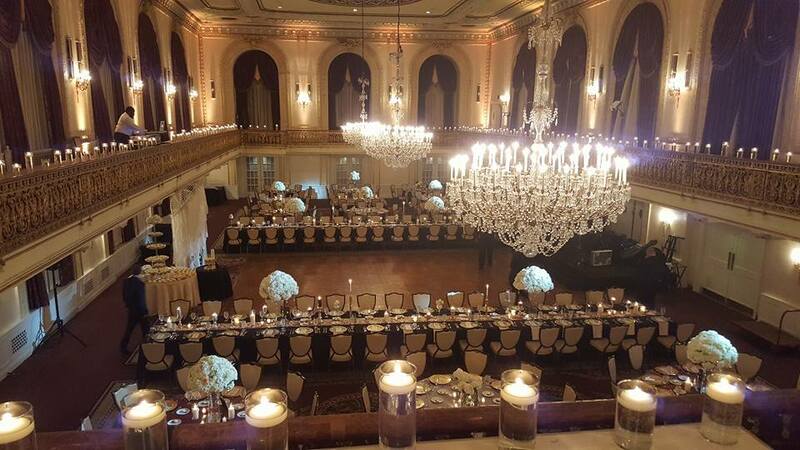 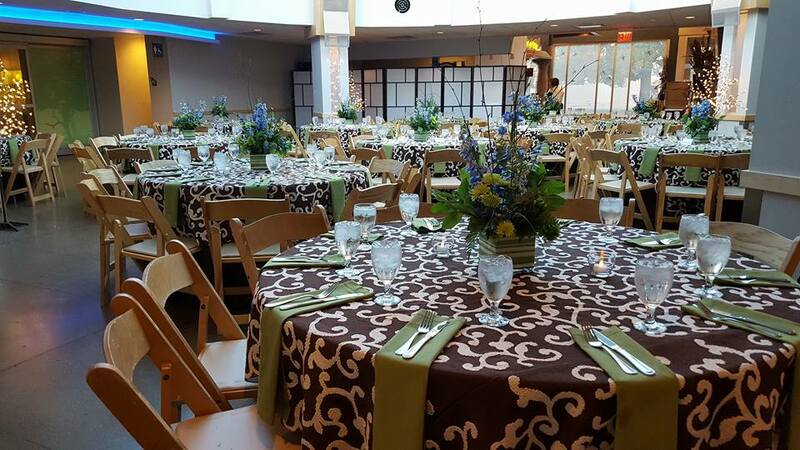 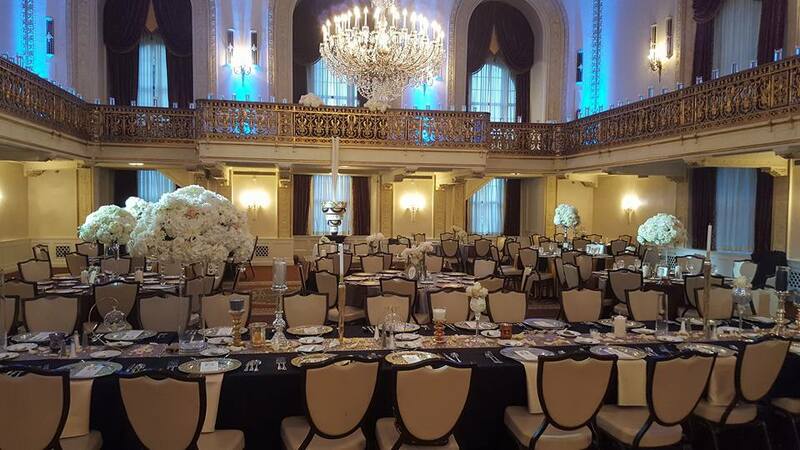 Beautiful 17th floor ballroom at the Omni William Penn decorated with a variety of centerpieces and hundreds of floating candles surrounding the mezzanine. 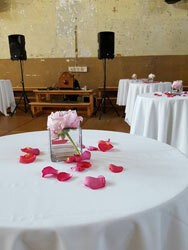 Simple pink peony in glass cube vase cocktail hour centerpiece accented with pink rose petals. 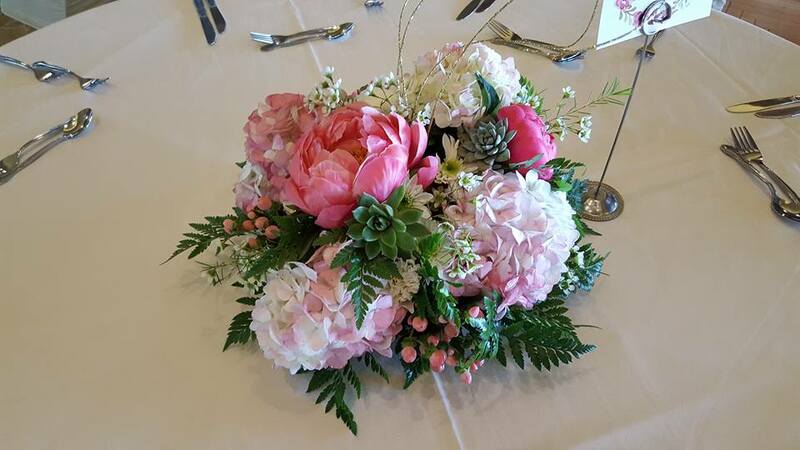 Beautiful pink round centerpiece of pink hydrangea and peonies with wax flower, hypericum berries and succulents. 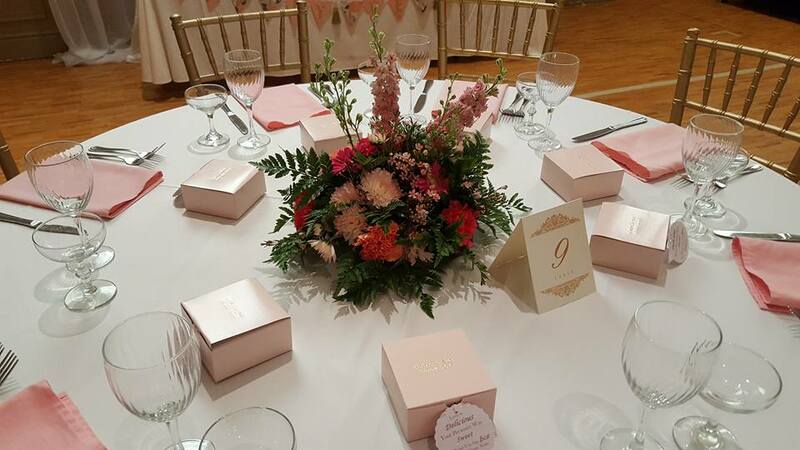 Beautiful pink centerpiece of pink hydrangea and peonies with wax flower, hypericum berries and succulents on glass riser with curly ting ting accents. 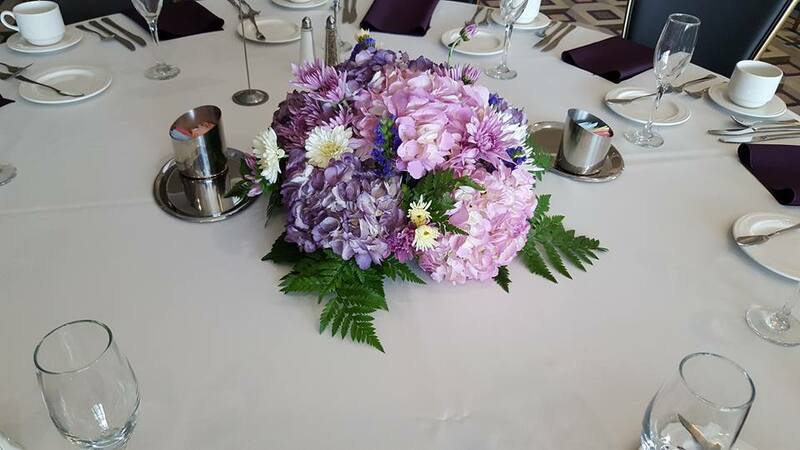 Bright colorful centerpiece of white hydrangea, hot pink roses, purple fuji spider mums and green cushion mums. 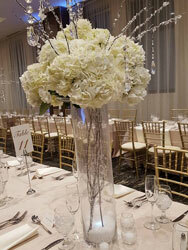 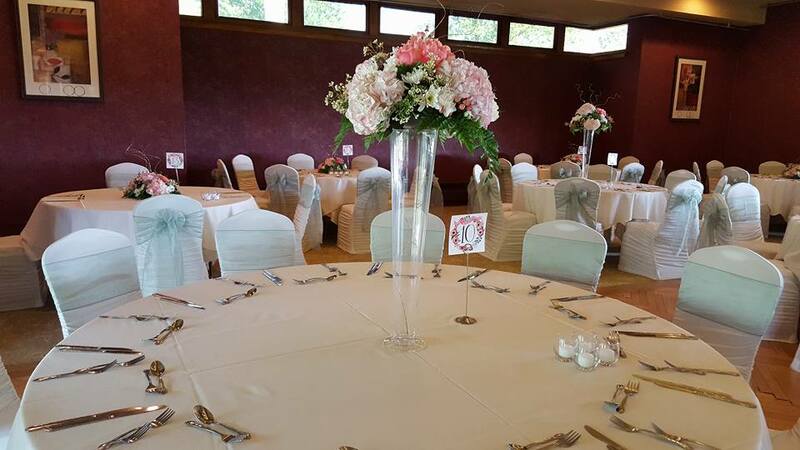 Various centerpieces of white hydrangea, ivory and peach roses, and white mums with hanging crystal accents arranged on glass cylinder riser and silver candelabras.